The Question: Why did “The Biggest Little Football Town in the World”, population 3,310, make the news two days in a row this week? Then, as if beckoned from the other end of the universe, item #2 appeared in Wired under the title, IBM Outlaws Siri, Worried She Has Loose Lips. The story relates how IBM has banned the iPhone’s voice-activated assistant from its offices for fear their employees’ queries might be collected and, presumably, betray the company in some way. Where might such a collection exist? At the data center in Maiden, NC where Siri sends every question you whisper in her ear. And there you have it. As a Bokononist would say: busy, busy, busy. If IBM were a person, it might get called paranoid. But you know, there are some loose lips in Maiden. 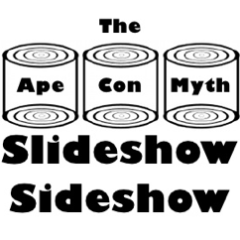 And In This Corner, Wearing the Black and White Trunks and Weighing in at 11 Slides, Give It Up for the Ape Con Myth Slideshow Sideshow! 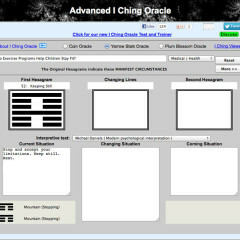 Ask the I Ching: Do Exercise Programs Help Children Stay Fit?